IndieBound is ABA’s local first marketing initiative. Elements include marketing and advocacy assets, the Indie Bestseller List, the Indie Next List, and the Red Box and White Box mailings, as well as the consumer focused ecommerce website IndieBound.org and affiliate program. Many multi-format digital marketing assets may be downloaded from the For Booksellers section, including the popular “Here’s What You Just Did” poster, IndieBound “Eat Sleep Read” and ”Snack Nap Read” files, and other designs. Files can be used in-store ­– or by your local independent neighborhood printer – to create personalized bookmarks, displays, clothing and whatever creation you think of! Web and social media campaign oriented and seasonal files are also included in the marketing assets section. You can purchase high-quality versions of poster designs, as well as t-shirts and other merchandise, from the IndieBound online shop at RedBubble. ABA members in good standing will be included in the store locator on IndieBound.org. Those ABA members using ABA’s ecommerce platforms IndieCommerce or IndieLite, or that offer a full database of titles and a standard shopping cart on their websites, will be included as a purchase option for customers of IndieBound.org. Authors are great potential partners for independent bookstores. 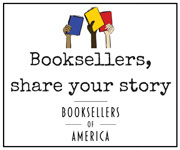 ABA encourages all members to request that authors visiting for reading and events link to an indie for book sales, either through your store website or the IndieBound.org affiliate program. This is a key component of spreading the word about supporting your store! To help, ABA has created a flyer that explains the benefits of linking to an indie for sales fulfillment..
For information about receiving the monthly Box Mailings be sure to read about the qualifying criteria. For questions about IndieBound please contact your Member Relationship Manager or email info@bookweb.org. The yearly survey of the Institute for Local Self-Reliance has found that independent businesses benefit from the public interest in supporting them. So let your communities know loud, clear, and often that you are local and independent and here. For every $100 you spend at a local indie business, $52 will stay in the community. 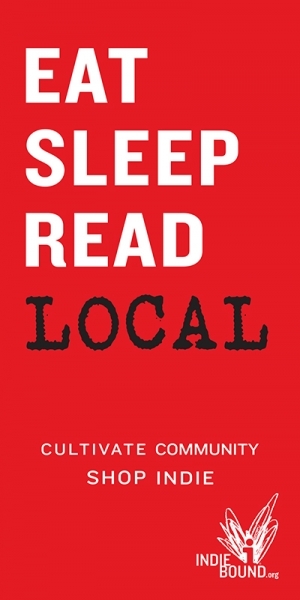 Local retailers are your friends and neighbors. They have a vested interest in knowing how to serve you, and they’re absolutely passionate about what they do. Take advantage of it. You wouldn’t want your house to look like everyone else’s. Why would you want your community to look that way? More diversity in your community enhances its appeal. Local businesses carry a wider array of unique products because they buy for their own market: the people in their community. They know you and know what you like and want. Buying from a local business conserves energy and resources (less fuel for transportation and less packaging) and you know the products are safe and well made because your local retailers stand behind them. The more interesting and unique a community, the more it will attract new neighbors, visitors, and guests. This benefits everyone.